Named after the legendary plantsman, Walter Ingwersen, this hybrid makes weed-suppressing ground cover with large aromatic leaves. 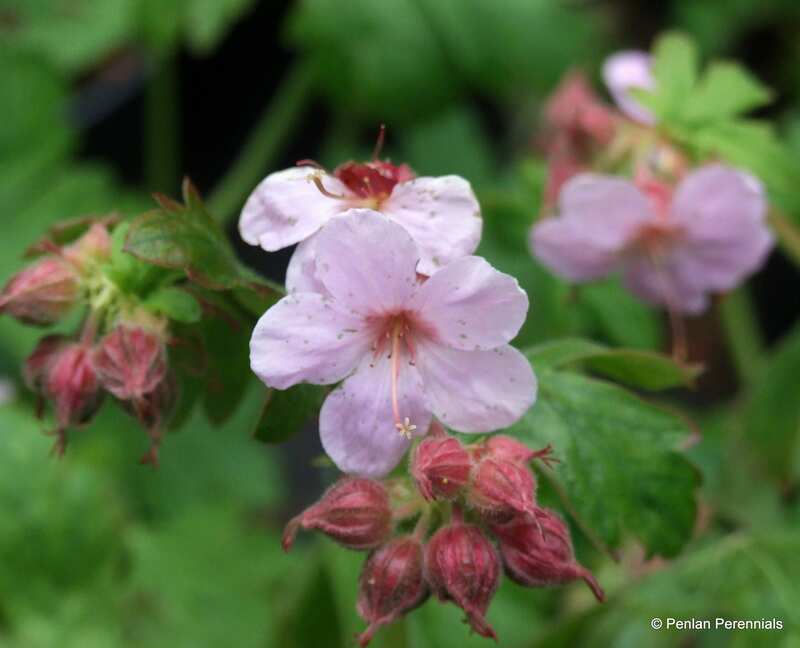 The flowers are held on stems clear of the foliage and are a very soft pink with slightly darker veins. This variety grows best in a well drained soil or will happily cover banks. The rhizotomous spreading habit is easily controlled by pulling them out where not needed. It is evergreen most years, with superb autumn leaf colour. Dry shade tolerant once it is established, it is easy to grow and pest and disease resistant. Hardiness rating H7. To propagate pull up pieces of rhizome and pot or replant where required. In very severe winters the plants may lose all their leaves and some of the surface rhizome may be killed, but the remainder usually takes over. Lovely healthy plants arrived very quickly after ordering and they were well packed in newspaper and not too much plastic thankfully. Very pleased and would definitely recommend.